IIA Quality Services is offering more tools and resources to support your Quality Assurance and Improvement Program (QAIP). This series provides helpful ideas in key areas to assist internal audit activities in establishing or improving their QAIP. 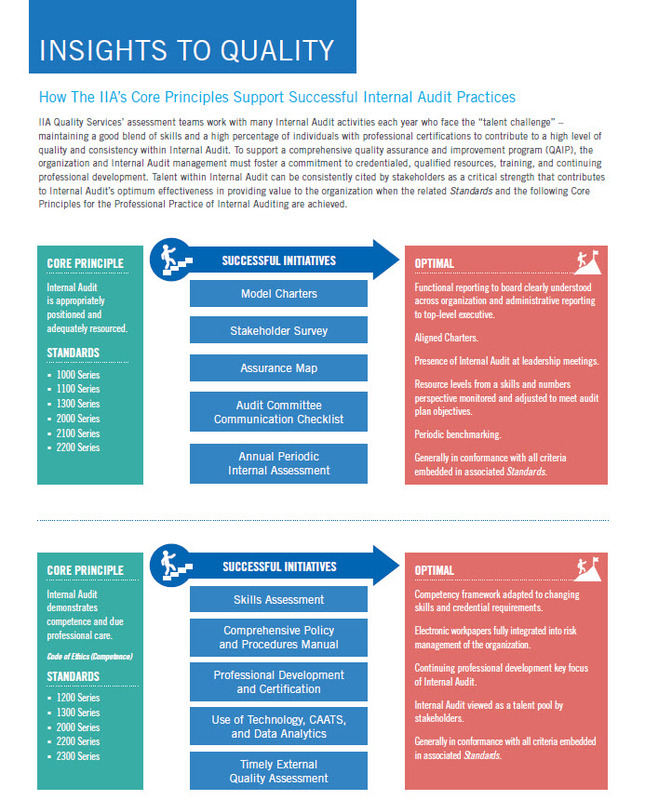 Download the latest edition to get insights on successful internal audit practices.